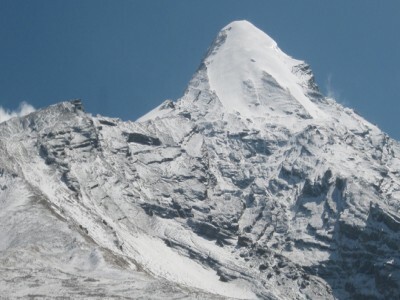 Paldor Peak (5896m/19,343ft) is situated in the Ganesh Himal, northwest of Katmandu. The name Ganesh is taken from the elephant-headed Hindu god of good luck. 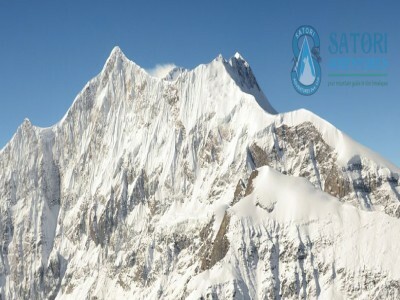 Paldor Peak lies at the southeast end of Ganesh Himal at the junction of the Tiru and Karpu Dandas at the head of the Mailung Khola, a tributary of the Trisuli River. In 1974 Mr. John Cleare and Ian Howell first climbed Paldor Peak. 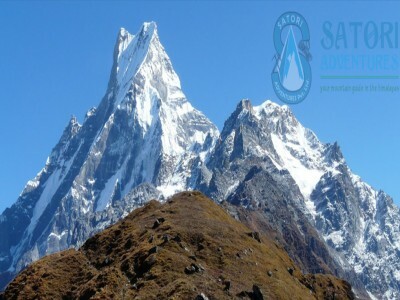 Paldor Peak has become one of the best and most famous trekking peaks in the Ganesh Himal region. 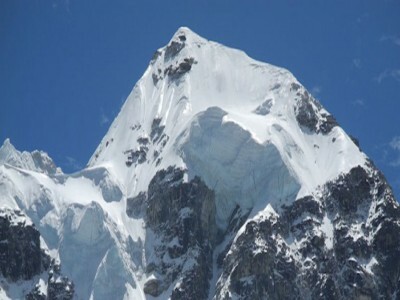 This peak can be climbed from North East, South East, West and South West Ridge. 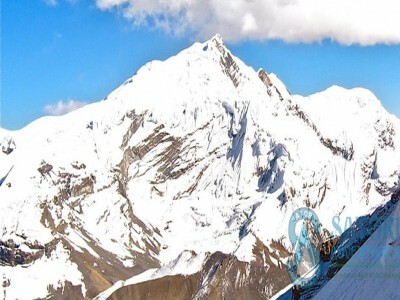 The caravan route to Paldor peak takes you from Kathmandu to the main access of Langtang Khola and onto Sabrubesi. The route then leads to the villages of Tangjet, Gatlang, Mailung Khola and onto the base camp. 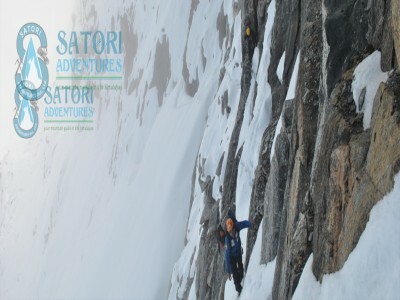 This route climbs the long snow and ice arête that goes down to the fangrock peak. 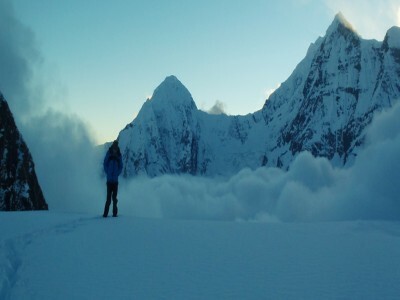 The lowest point of this ridge can be reached from the high camp of Paldor’s East glacier via steep snow and ice slopes. 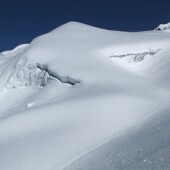 The ridge is also accessible from avalanche prone couloirs from Paldor’s West glacier. 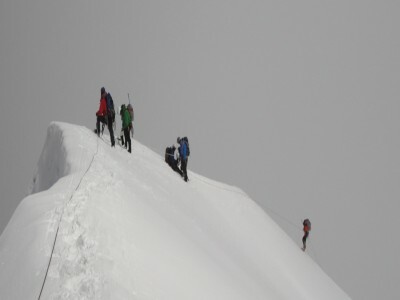 The ridge continues and is quite steep but without any major difficulties to the summit. From base camp, the trail follows the path along a moraine. There is a small lake to the south of the peak named Fang. You will cross a stream flowing from the lake and head toward the East ridge of the Fang. The glacier at this point is flat and does not contain many crevasses. From this camp follow the Paldor’s East glacier with out difficulty and head north toward a col on the Northeast ridge. Cross a bergscrund and climb a steep snow slope to gain the col. 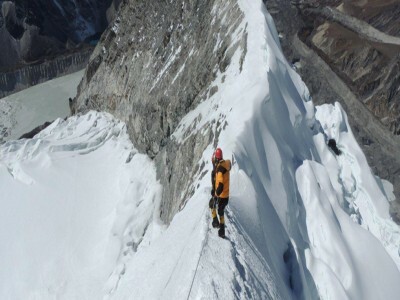 If this is very difficult you can ascend the slope to the left, climbing diagonally toward a rocky pinnacle. 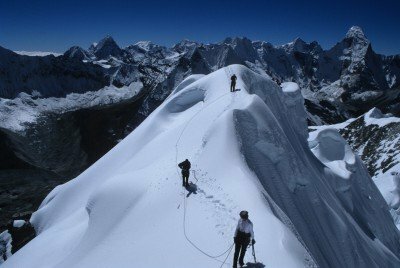 Once on the ridge, climb over several pinnacles of loose rock leading to a horizontal snow arête. Follow this to the final 150m headwall. Ascend this on steep snow to the junction of the Southeast ridge, which may be corniced, use care here. Continue easily to the summit. 18 Nov/Day 02: Preparation and briefings at the Departments of Tourism. Last minute shopping. 19 Nov/Day 03: Drive from Kathmandu to Syabrubesi (1503m/4931ft, 08hrs) via Trishuli; tea house accommodation. 20 Nov/Day 04: Trek from Gatlang to Yuri Kharka (3280m/10761ft. )- 5hrs; teahouse accommodation or camping. 21 Nov/Day 05: Trek from Yuri Kharka to Somdang (3,260m/10696ft. )- 5hrs via Khurpudanda pass (3,750m); teahouse accommodation or camping. 22 Nov/Day 06: Trek from Somdang to Jasta Khani (3700m/12139ft. )- 6hrs; camping accommodation. 23 Nov/Day 07: Trek from Jasta Khani to Paldor Base Camp (4280m/14042ft. )- 6hrs; camping accommodation. 24 Nov/Day 08: Rest day at Base camp for acclimatization (4280m/14042ft.). 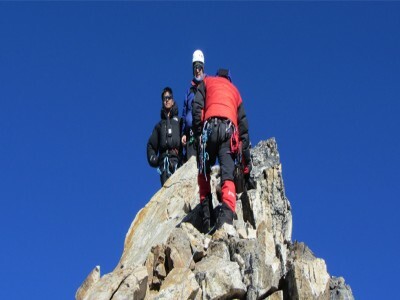 This is an acclimatization day for the preparation of Paldor peak summit. 25 Nov/Day 09: Trek from Paldor Base Camp to Paldor High Camp C1 (5300m/17388ft. ); camping accommodation. 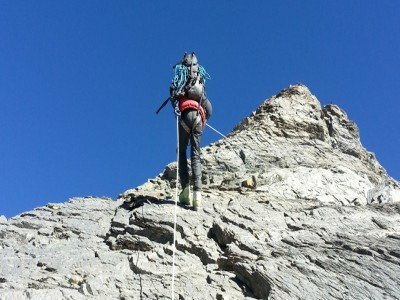 26 Nov/Day 10: wake up early in the morning (at 3am), take some tea, coffee and light breakfast then summit Paldor Peak (5896m/19343ft. ); Descend down to the Base Camp; Camping accommodation. 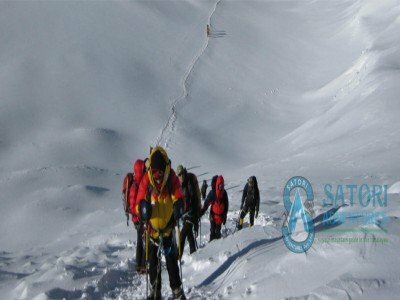 27 Nov/Day 11: Trek from the Base camp to Somdang (4305m/14124ft. ); camping accommodation. 28 Nov/Day 12: Trek from Somdang to Narchet Kharka (3800m/12467ft. ); camping accommodation. 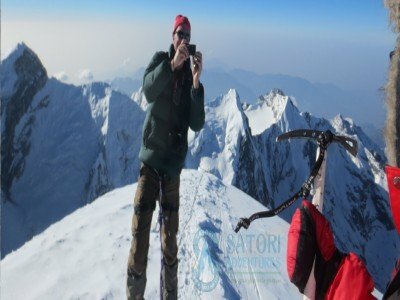 29 Nov/Day 13: Trek from Narchet Kharka to Sertung(3270m/10728ft. ); camping accommodation. 30 Nov/Day 14: Trek from Sertung to Jharlang (1600m/5249ft. ); camping accommodation. 01 Dec/Day 15: Trek from Jharlang to Darkha (1557m/5108ft. ); camping accommodation. 02 Dec/Day 16: Trek from Darkhu to Khahare Bazaar (720m/2362ft. ); camping accommodation. 03 Dec/Day 17: Trek from Khahare Bazaar we drive for 7hrs to Kathmandu (1350m) by bus or car and transfer to hotel. Farewell dinners with culture program In the Evening. Request category hotel accommodation in Kathmandu. 04 Dec/Day 18: After having Breakfast, Drop to airport for final departure. 08 May/Day 02: Preparation and briefings at the Departments of Tourism. Last minute shopping. 09 May/Day 03: Drive from Kathmandu to Syabrubesi (1503m/4931ft, 08hrs) via Trishuli; tea house accommodation. 10 May/Day 04: Trek from Gatlang to Yuri Kharka (3280m/10761ft. )- 5hrs; teahouse accommodation or camping. 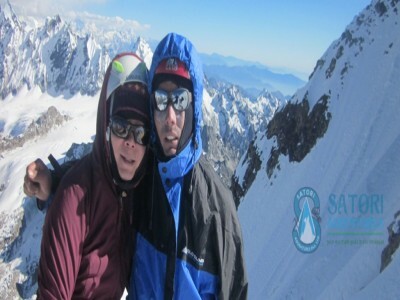 11 May/Day 05: Trek from Yuri Kharka to Somdang (3,260m/10696ft. )- 5hrs via Khurpudanda pass (3,750m); teahouse accommodation or camping. 12 May/Day 06: Trek from Somdang to Jasta Khani (3700m/12139ft. )- 6hrs; camping accommodation. 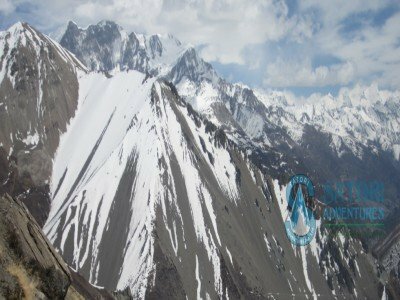 13 May/Day 07: Trek from Jasta Khani to Paldor Base Camp (4280m/14042ft. )- 6hrs; camping accommodation. 14 May/Day 08: Rest day at Base camp for acclimatization (4280m/14042ft.). 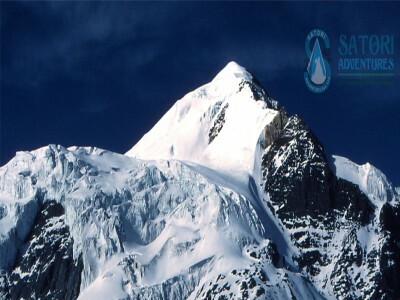 This is an acclimatization day for the preparation of Paldor peak summit. 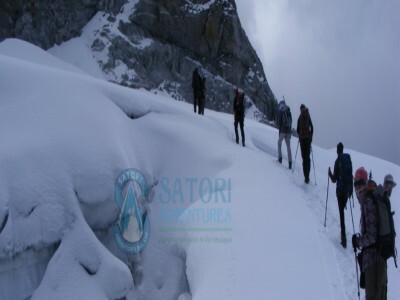 15 May/Day 09: Trek from Paldor Base Camp to Paldor High Camp C1 (5300m/17388ft. ); camping accommodation. 16 May/Day 10: wake up early in the morning (at 3am), take some tea, coffee and light breakfast then summit Paldor Peak (5896m/19343ft. ); Descend down to the Base Camp; Camping accommodation. 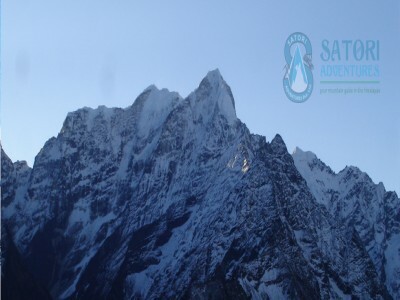 17 May/Day 11: Trek from the Base camp to Somdang (4305m/14124ft. ); camping accommodation. 18 May/Day 12: Trek from Somdang to Narchet Kharka (3800m/12467ft. ); camping accommodation. 19 May/Day 13: Trek from Narchet Kharka to Sertung(3270m/10728ft. ); camping accommodation. 20 May/Day 14: Trek from Sertung to Jharlang (1600m/5249ft. ); camping accommodation. 21 May/Day 15: Trek from Jharlang to Darkha (1557m/5108ft. ); camping accommodation. 22 May/Day 16: Trek from Darkhu to Khahare Bazaar (720m/2362ft. ); camping accommodation. 23 May/Day 17: Trek from Khahare Bazaar we drive for 7hrs to Kathmandu (1350m) by bus or car and transfer to hotel. Farewell dinners with culture program In the Evening. Request category hotel accommodation in Kathmandu. 24 May/Day 18: After having Breakfast, Drop to airport for final departure. Kathmandu-Syabrubesi-Kathmandu private Transportation for group and staff as per Itinerary. 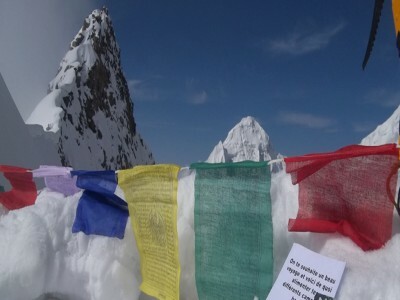 Expedition royalty and climbing permit of Nepal government to climb Paldor Peak(5896m).